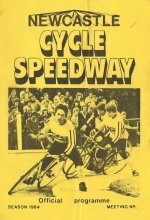 Introduction by Keith Dyer: - This fascinating overview of cycle speedway in South Shields has been written by Les Gustafson. Les never reached the dizzy heights as a rider, but his influence was greater than that. 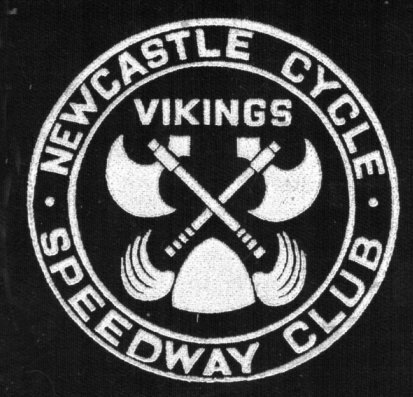 Terry Kirkup became Mr Newcastle Cycle Speedway, Les was his Shields equivalent. Someone has to do the work behind the scenes, Les was the organiser, publicist, programme compiler and all the things no-one else wants to do, an unsung hero. He now lives in Hertfordshire and is still very interested in the current cycle speedway scene. Luckily Les has a good memory, something his Newcastle friends have lost along the way! He has also provided me with a great deal of documentary evidence I have used extensively here on the site, and in my forthcoming potted history in book form. 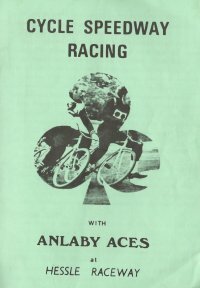 Cycle Speedway racing in South Shields and Newcastle developed independently of each other, although linked by a common enthusiasm for the Newcastle Diamonds Speedway team at Brough Park. It had been thought that the sport had its origin in South Shields in 1965, but a few lines in an Internet piece entitled “South Shields Reminiscences”, which covers the periods pre- and post-World War II, states that in the immediate post-war years there was a cycle speedway track on a bomb site behind Black’s Regal Cinema in King Street, the town’s main shopping street. The track boundaries were marked out by bricks salvaged from the rubble of the bombed buildings. It is not known how organised the meetings were, or whether there was any contact with the fledgling activities in Newcastle. 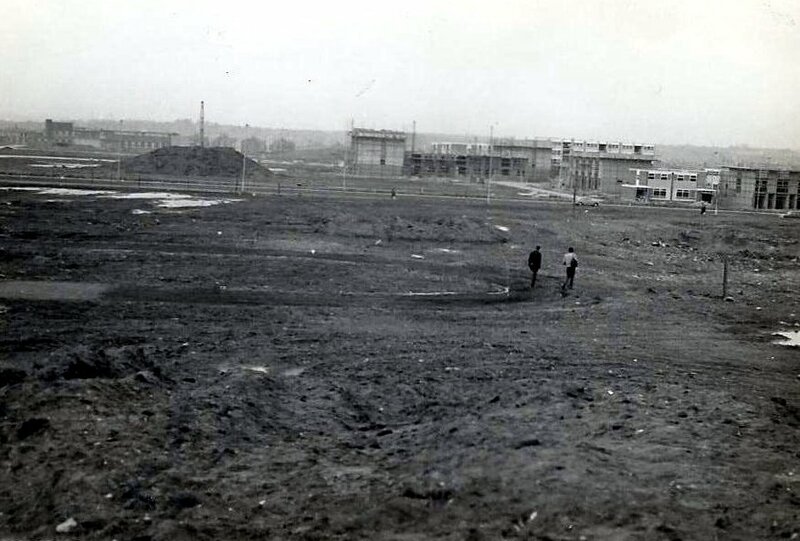 As the track was situated on a bomb site, it may well be that its lifespan was relatively short, once redevelopment got under way after the war. 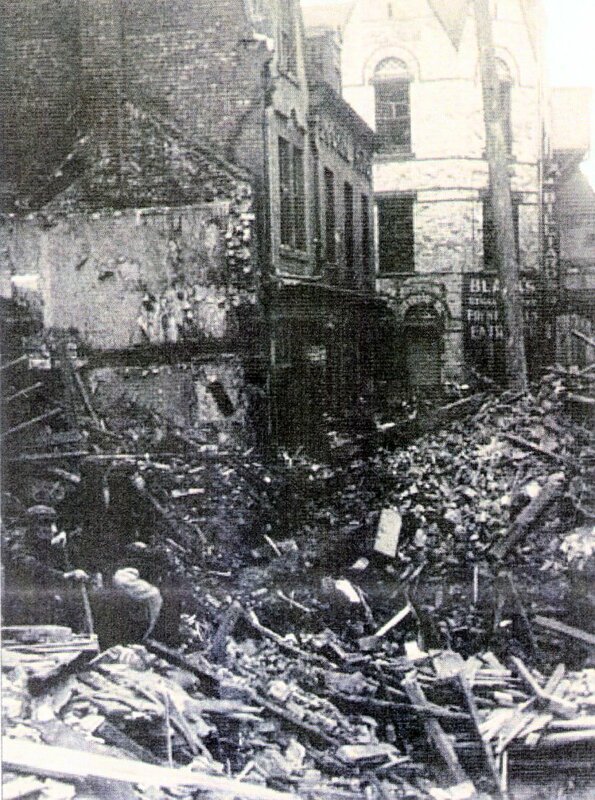 Re the above photograph taken after a bombing raid. The photo Looks down Union Alley from the river drive towards the rear of Black's Regal Cinema (The sign can just be seen behind the telegraph pole). 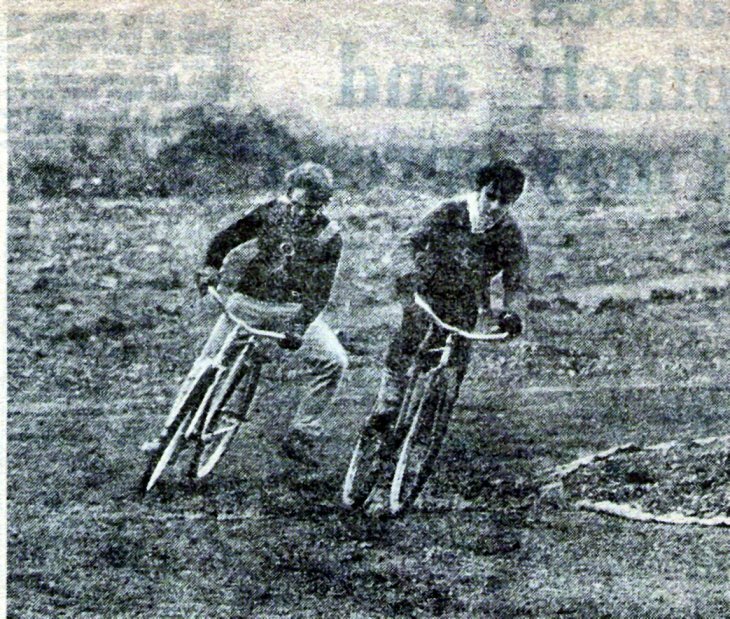 After the bomb debris was cleared away and the site flattened, the cycle speedway track was laid out by the South Shields club. At all events, the recorded origins of Cycle Speedway in Shields are dated to 1965, when a bunch of schoolboys who formed the South Shields Track riding Club decided to give up the hair-raising stunts they performed on the paths along the cliff-tops at the seafront, and moved down to a flat area below the cliffs where they marked out a cycle speedway track. That being said, any rider taking an especially wide line on the fourth bend risked a brush with the cliff faces which fringed the track. The area is known locally as Trow Lea, or The Leas, and is the green expanse by the seafront where the Annual Great North Run has its finishing line, and it was natural that the name Trow Lea should be adopted for the team, with Mariners added to it, in recognition of the seaside location. 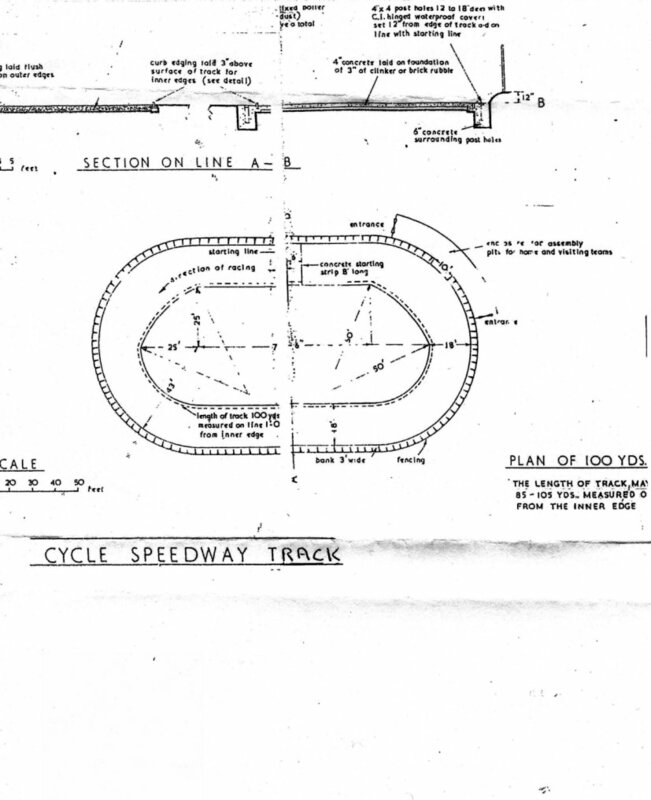 Exactly how it was decided to take up Cycle Speedway is not clear – maybe it was a viewing of a Rank Organisation Cinema short in their “Look at Life” series (a ten-minute film about Cycle Speedway was doing the rounds of their cinemas in 1965). One of the Club’s riders – Doug Atkinson – had recently moved to Jarrow, where he touched upon the subject with his new schoolmates, who expressed interest in forming their own team. They actually lived in Boldon and put together a team they called Boldon Crusaders (maybe they had seen Speedway at the short-lived first venture at Sunderland Speedway a couple of years earlier, as the track was actually in Boldon). 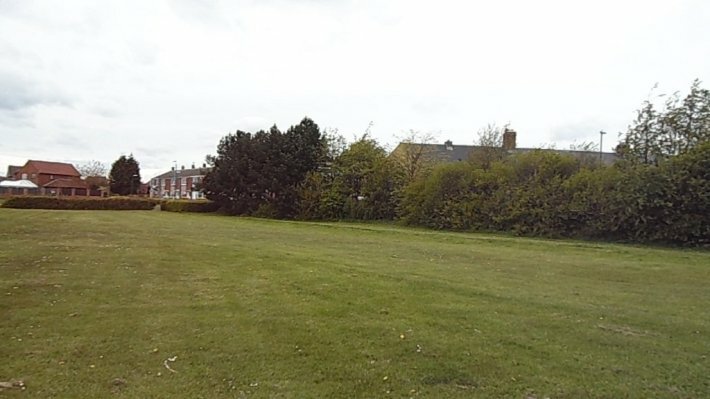 They found space for a track on a piece of land next to the children’s playground behind the Co-Op in Boldon Colliery, and dates for home and away matches against Trow Lea were organised. 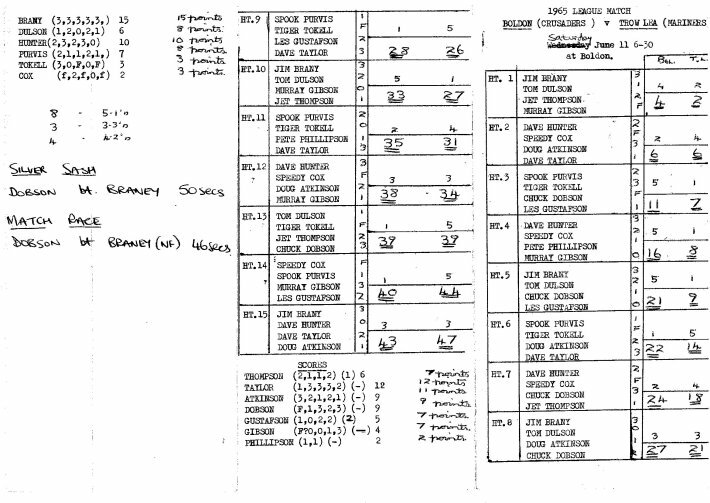 The first competitive meeting took place on 4th July 1965 at Trow Lea, and resulted in a 50-40 win for the home side. 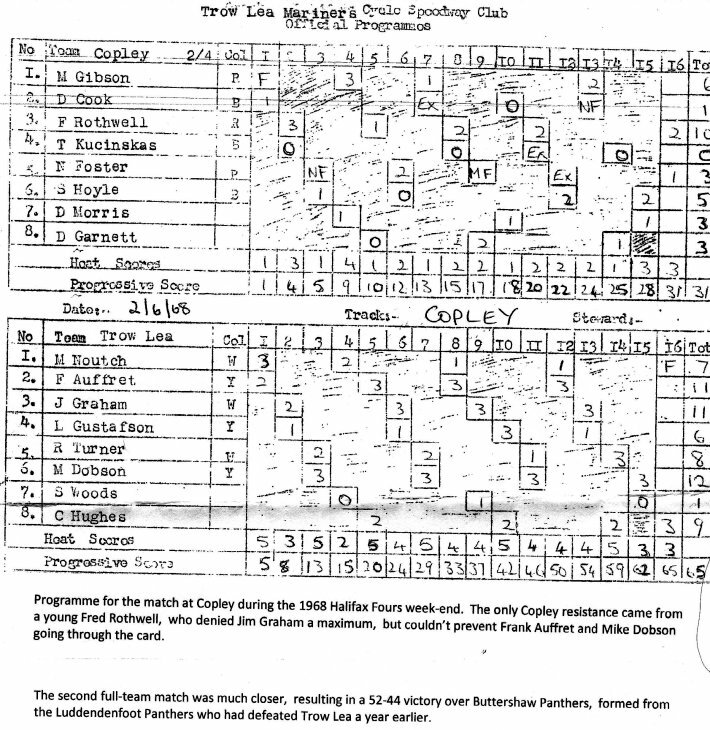 A further home match and two away matches all resulted in wins for Trow Lea, but Boldon had the individual star in Jim Braney, a late addition to their team for that first match, who scored fifty-eight points (old-style) from those four meetings, including sixteen heat wins. His closest rivals were Keith Thompson and Mike Dobson of Trow Lea (the latter was also the 1965 Individual Champion). Spectating at the second match at Trow Lea between those sides were some kids who decided to form their own team, and called themselves the Grosvenor Jailers (“Grosvenor” from the road where most of them lived, and “Jailers” because some of them were studying Russian at school, and liked the sound of the Russian word for it). They eventually provided the 1965 Best Pairs champions, although they did not have any riders who could match the Trow Lea and Boldon heat-leaders on an individual basis. 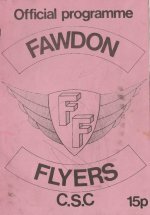 A fourth team – Cleadon Hornets – made a brief appearance at the end of the 1965 season, but the chances of running a proper league arrangement were wrecked when Boldon were ejected from their track, on the grounds that they were youths just our for mischief. 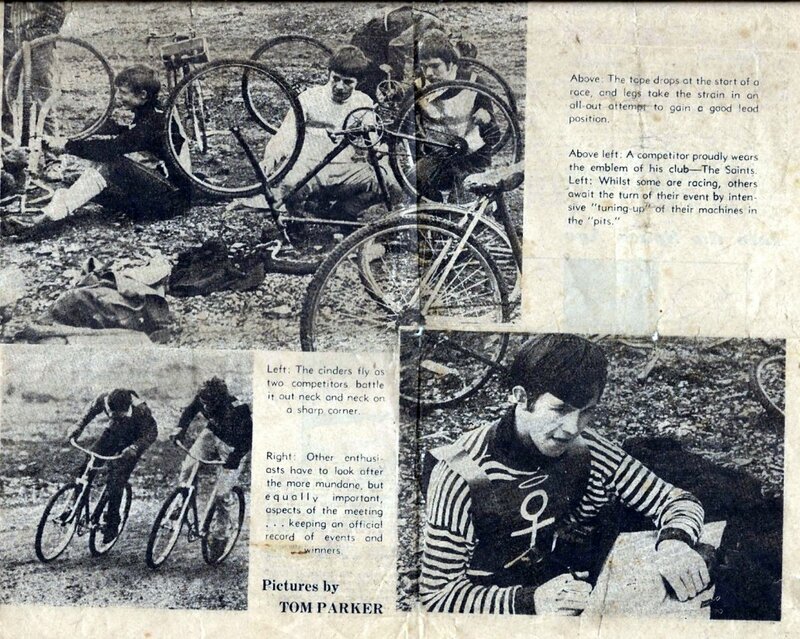 The Boldon riders – with the exception of Jim Braney – drifted away from the sport, as it was too far for them to count Trow Lea as an alternative home track. 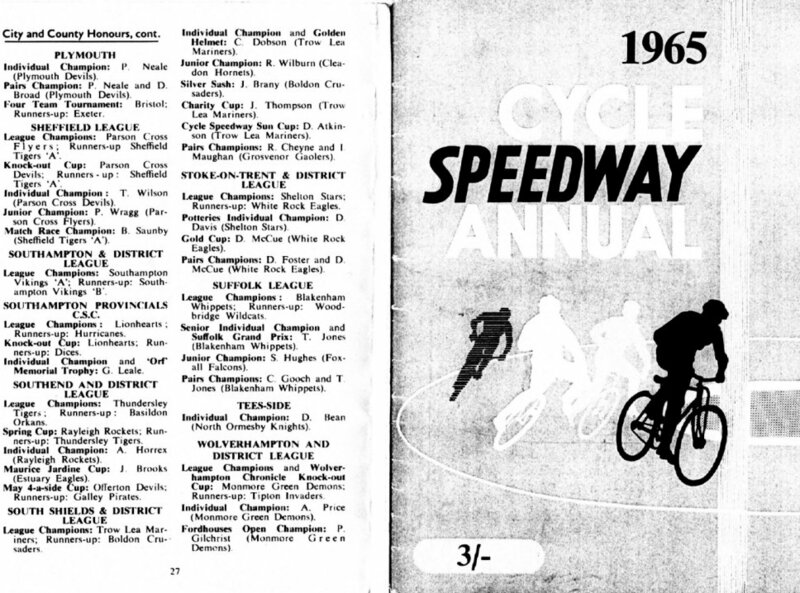 This cast a pall over the end of the 1965 season, as neither Grosvenor nor Cleadon had their own track and also depended on using Trow Lea (situated in a natural hollow called The Nest), but things brightened up considerably when the 1966 edition of the Cycle Speedway Annual revealed the existence of the sport in nearby Newcastle. Contact was made, and home-and-away Test Matches were arranged, with the first Test being held in April at Trow Lea, where a South Shields side hosted visitors Newcastle (matches against Newcastle were always raced as South Shields, rather than Trow Lea, as the inaugural series in 1966 drew on riders from other Shields clubs as well). Disaster struck again only a few weeks after that First Test, when Trow Lea were ejected from using The Nest as a track, as it was considered that Cycle Speedway activity there was detrimental to an area of natural beauty (it was admittedly a very picturesque location), and so the 1966 season was virtually over before it had even properly begun. This left South Shields without a track for almost a year and a half, until the opening of the Temple Park circuit in August 1967, and meant that anyone wanting regular racing had to travel up to Newcastle, to their new track situated at Monkchester Rec. This inevitably led to a further reduction in rider numbers, but on the plus side, encouraged a spirit of adventure for racing on as many away tracks as possible in the interim (but also out of necessity, as home meetings were out of the question). 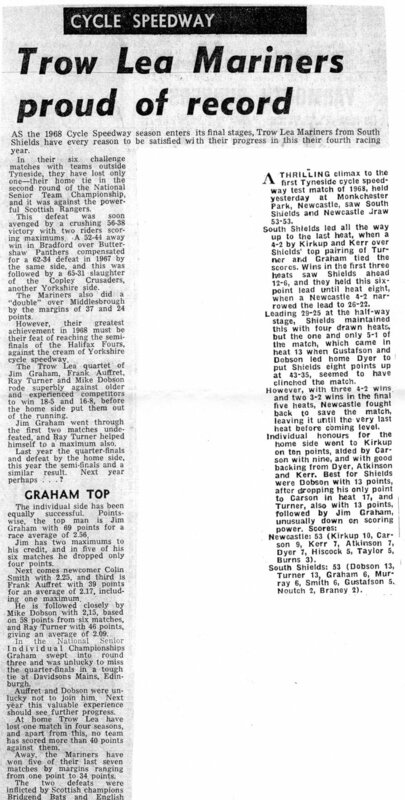 The first in a series of joint-venture trips with the Newcastle club came in October 1966, when Newcastle Vikings and Trow Lea Mariners raced Ian Branston’s Granton sides in Edinburgh, having hosted their earlier visit to Newcastle. 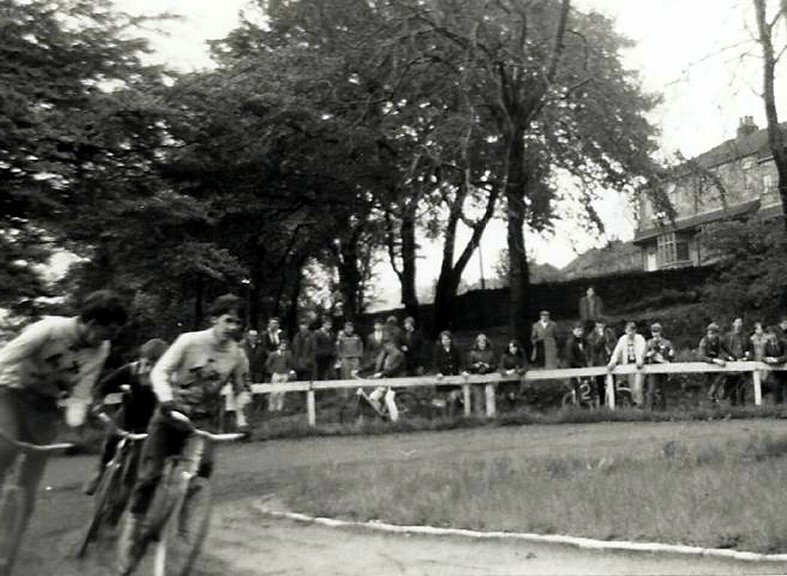 The tracks visited were Pilrig Park and Davidson’s Mains (the latter being the Tynesiders’ first sight of a proper Cycle Speedway circuit). The next joint trip – in April 1967 to Halifax – did not go quite according to plan, however. Trow Lea had recruited a young Middlesbrough rider called Frank Auffret (although there had been racing in the Middlesbrough area for some years in the early Sixties, it had declined, and Frank was happy to sign up for some regular team racing), and it was arranged that he would be picked up at a pre-selected spot on the A19 on the way to Halifax. Unfortunately, however, when the coach from Newcastle arrive in Shields to collect the Trow Lea contingent, the driver refused to go down the A19 and insisted on going back to the A1. As this was in the days before mobile phones, Frank sat waiting by the side of the A19 for a coach that never came, and Trow Lea sailed on down the A1 without a third heat-leader and had to include a novice rider at number eight. 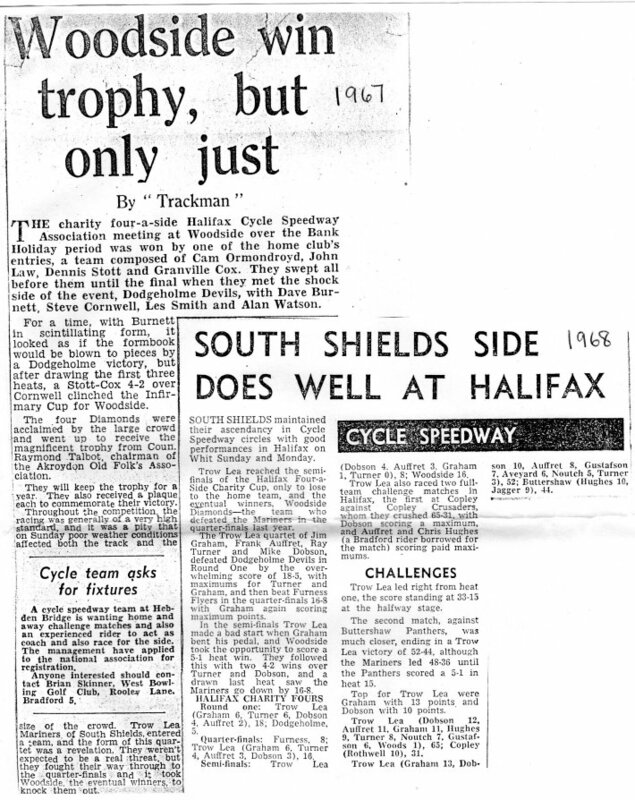 What the trip did show, however, was that was not a great gap in ability between riders from Halifax and Tyneside, as was proved some weeks later when Trow Lea entered the Halifax Fours Championship and progressed to the Quarter-Finals, before being knocked out by the home-track eventual winners Woodside Diamonds. A new way to spend Sunday afternoons, the new cycle speedway track at Temple Park is now completed. This gazette photo shows Ray Turner taking the outside line against Frank Auffrett. 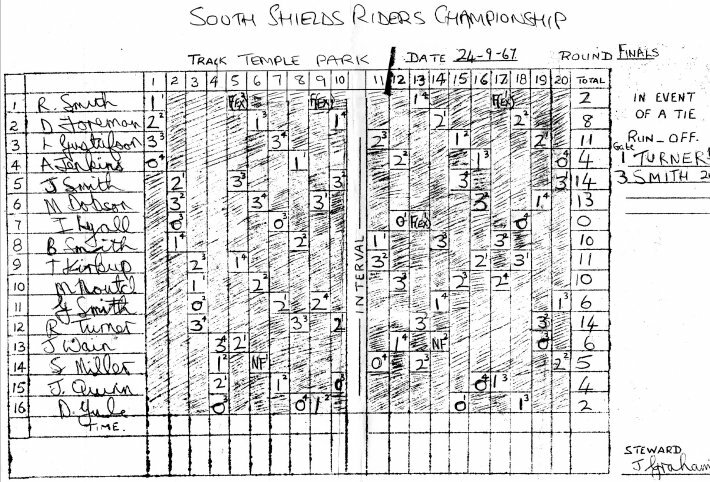 In the meantime, an application had been made to the South Shields Borough Council for assistance in securing a new track, but this process was complicated by the fact that nobody involved in South Shields Cycle Speedway was over eighteen years of age (the Newcastle team – in a similar age category – had been fortunate in attracting interest and support from adults associated with Newcastle Speedway, which made a number of things easier to organise. The only time when an adult was involved in the organisation of the sport in South Shields was when Mike Dobson’s father signed the Indemnity required by the council in exchange for the provision of a track – and that only because the other signatories – the Club officials – were not adults). To the Council’s credit, in the summer of 1967 they approved a small grant of funds for the provision of a basic track on the edge of the town’s Temple Park, and work on this started in July. 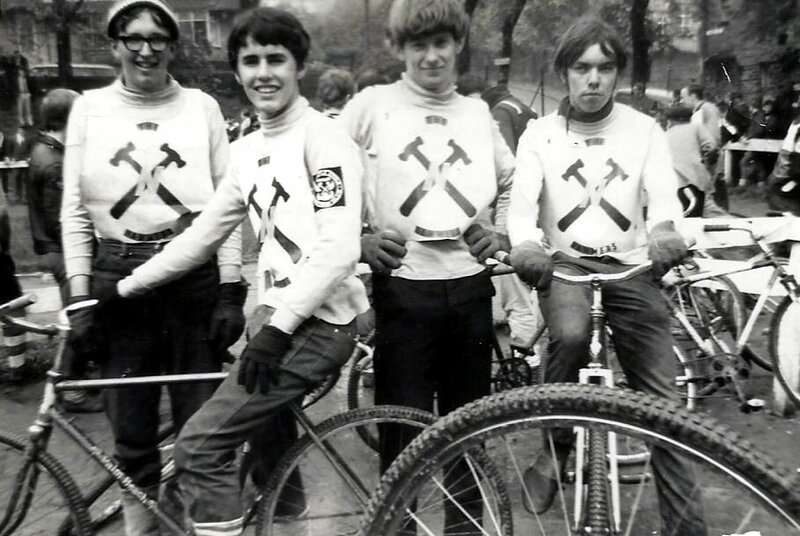 Fortunately, one of the Borough Engineer’s Deputies was a table-tennis team-mate of the brother of one of the Club’s riders, and the funds were stretched to optional extras, such as a tarmac starting area and banking on the bends, and even the provision of old fire-hose as the inside line, until a proper brick-lined edge could be laid down. 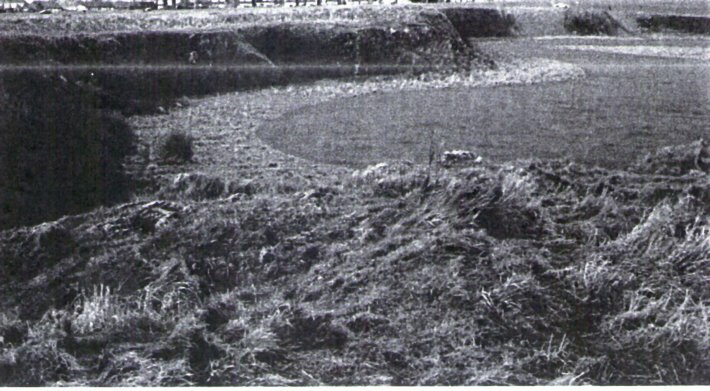 The downside was that this was not intended as a long-term arrangement, as the area there was earmarked for the town’s Swimming and Leisure Centre – which still stands there today – and the surroundings of the track resembled a ploughed field, with drainage always a problem. This did not detract from the standard of racing, however, as the circuit provided a number of different racing lines, and attracted the praise of one of the sport’s best-known personalities Brian Moston, in his capacity as NACSA Track Inspector. One of the first meetings on the new track was the home leg of the 1967 Test Series with Newcastle, a year and a half after the previous staging. The first-ever Test had taken place on 23rd April 1966 at The Nest, and allowed Shields to take an eleven-point advantage to Newcastle’s Moorland Park track two weeks later, and this gap was reduced to an aggregate victory margin of just four points after completion of that meeting. This set the trend for a series of annual meetings, which were highly-competitive and closely-fought contests, where the result was generally in doubt right up until the final heat of each match. 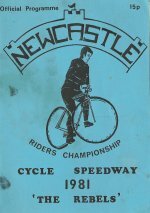 By the time the 1967 series took place, both sides had a new track, as Newcastle had moved to Monkchester Rec, but riders from both teams were very much at home on the other side’s track, in spite of the fact that the wide, sweeping and banked Temple Park circuit was half as long again as the tight Newcastle strip. In fact, having had to use Monkchester as their “home” track during their nomadic period in 1966 & 1967, several of the Shields riders were probably as familiar with it as were their Newcastle opponents. 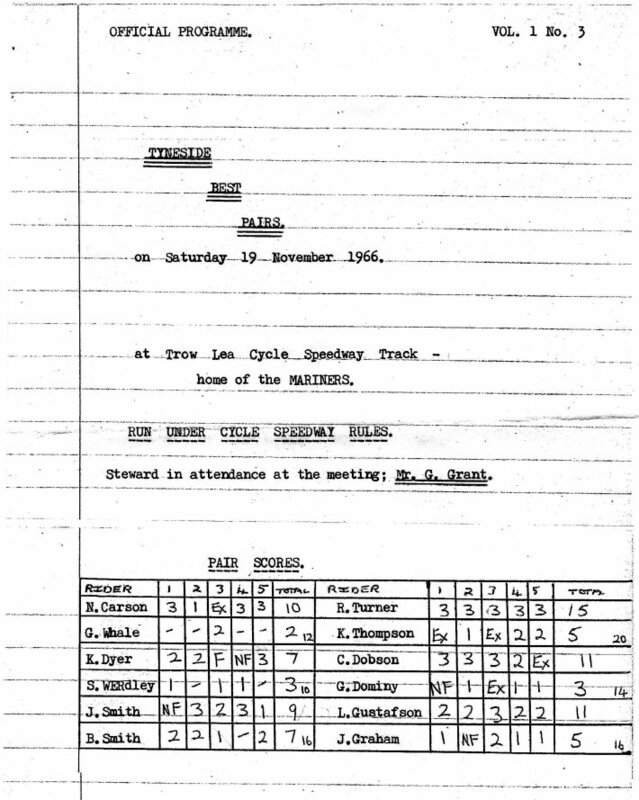 On the other hand, the inaugural meeting at the Temple Park track in August ’67 was completely dominated by Newcastle riders, even though they had not seen the circuit before the day of the meeting itself. Other memorable outings in 1967 were to Edinburgh, and a visit to Kingstanding where the hosts did us the courtesy of putting out a virtually full-strength side, enabling us to follow literally in the tyre-tracks of such luminaries as Roger Ellis, Ivor Walsh, Dave Parry and Mick Aris – although Trow Lea did have the first rider across the line in several of the heats, so it was not discouraging. The trip was unforgettable for another reason – on the way home the hired minibus broke down near Doncaster and the riders had to leave their bikes in a local garage and catch the overnight bus to Newcastle, arriving bleary-eyed at Gallowgate Bus station at 6.30 a.m. on Monday – just in time for school/work. The bikes turned up about ten days later, just before the trip to Edinburgh (and we never did get any compensation from the minibus hire company). 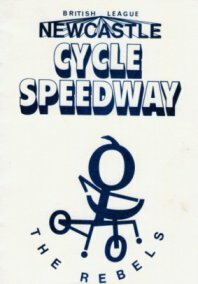 1968 was the high-water mark for Cycle Speedway in South Shields – comfortable home and away wins over an emerging Middlesbrough side, a third successive overall Test series victory against Newcastle, away wins over teams in Halifax, Bradford and Sheffield, and further progress in the Halifax Fours (in 1967 it was a Quarter-Final placing and in 1968 Trow Lea reached the Semi-Finals, only to come up again against the holders and home side Woodside Diamonds, who – having dispatched the Shields quartet – went on to retain the trophy. Three of the Trow foursome – Frank Auffrett, Ray Turner and Mike Dobson - rode in both years. The 4th member in ’67 was Keith Dyer, and Jim Graham completed the side in ’68. South Shields at Woodside, Halifax for the 1967 4s meeting. L-R Micky Dobson, Frank Auffret, Ray Turner and Keith Dyer. Unusually the team is wearing Newcastle breastplates. 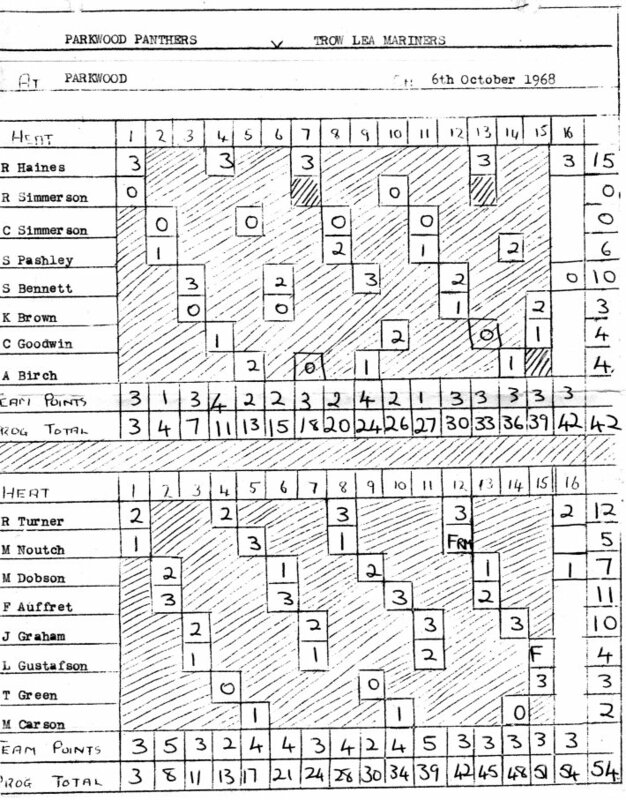 From the same meeting, Micky Dobson and Frank Auffret on the way to a 5-1, and qualification for the quarter-finals. Despite all this activity, Trow Lea still found it difficult to recruit new riders, and attempts to interest local Youth Clubs were not successful. 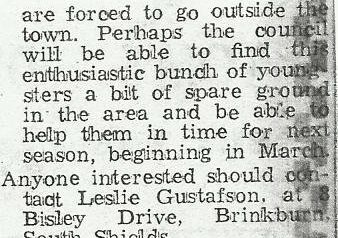 Regular features in the Shields Gazette did not stimulate an increase in membership (the period without a home track in Shields had been just too dislocating for the sport). 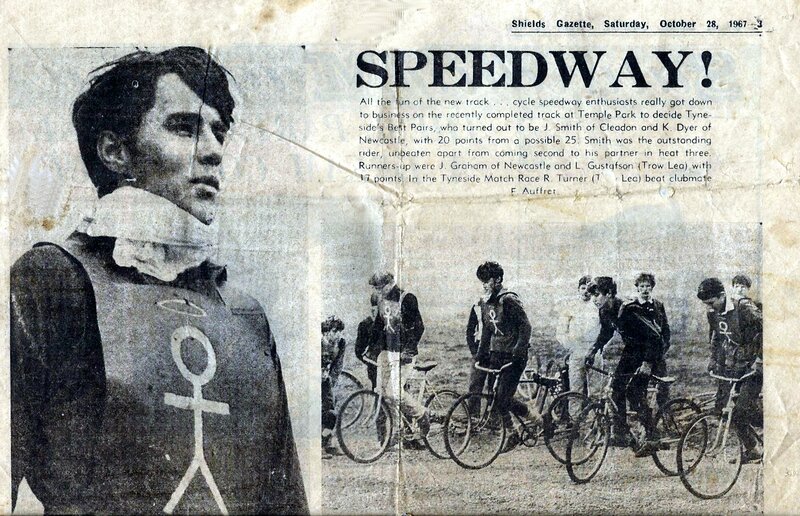 In 1969, with riders moving into further education outside the town, or taking full-time jobs which often involved week-end working or going on training courses outside the area, and with the Leisure Centre project on the Temple Park site moving forward (as had always been expected), Cycle Speedway activity in South Shields just quietly died away, and riders still keen on carrying on with their racing gravitated to the Newcastle club, which by then had been able to lay down a new track. Frank Auffret formed the Saltersgill Saints back in his home town of Middlesbrough, before going on to a Speedway career with Middlesbrough and then Hull, where he rode alongside Ivan Mauger, boyhood hero of those schoolboys who had set out to emulate his track activities at a more pedestrian pace on the track at the South Shields seafront in 1965. It was certainly a good way to keep fit ! Lacking motorised transport (and in the days before the advent of the Tyneside Metro system) Shields riders had to cycle to the Tyne Pedestrian Tunnel at Jarrow, cross under the river to Wallsend and then on to the Newcastle track in Walkergate, remove the brakes from the bikes, race one or two matches, and then do the journey again in reverse order. On one occasion, it was necessary to explain to a policeman who stopped us that we were a team of Cycle Speedway riders on the way home after a match, not a bunch of teenage hooligans. The first-ever race in South Shields was on 4th July 1965. Mike Dobson made his usual electric start in heat one, to lead the riders into the 3rd bend of lap one, where he promptly fell off and brought down the other riders with him. Mike having been excluded as the cause of the stoppage, it fell to his race-partner, Les Gustafson to cross the line first in the re-run, and victor of that first race – but the individual stars were Keith Thompson for the home side (five wins from six rides) and Boldon’s Jim Braney with three heat wins and two second places. Equally action-packed was the return at Boldon one week later, starting with heat three, where Mike Dobson and Les Gustafson team-rode faultlessly for more than three laps with Mike taking the outside line, whereupon he moved to the inside for the last bend, fell off and brought down his team-mate as well, turning a 5-1 into a 1-5 in the process. For a long time in that match it seemed that Boldon would gain revenge for the previous week’s defeat, but Trow Lea clawed their way back (thanks mainly to the usually-unsung Dave Taylor, who revelled in the muddy conditions that day) and ran out winners by four points – in spite of a five-ride maximum by Jim Braney for the home side. The third match between the two sides was a more comfortable home win for Trow Lea, in spite of Jim Braney scoring five wins and a second place for the visitors (he lacked any real support on the day) and the 4th match saw another four-point away win for Trow Lea. The last joint-event meeting at Boldon was a three-team tournament, but after that came the news that the team had been banned from riding there, which closed that chapter of Tyneside Cycle Speedway. We called the Boldon track the Swingfields – for no other reason that that it was adjacent to a children’s playground. A year or so later we might have made representations to someone about the track, but in ’65 nobody would have been interested in listening to a bunch of teenagers. The season-opener for 1966 was the First Test Match versus Newcastle, with the latter’s riders being met at the Tyne Tunnel and guided to The Nest by Doug Atkinson. 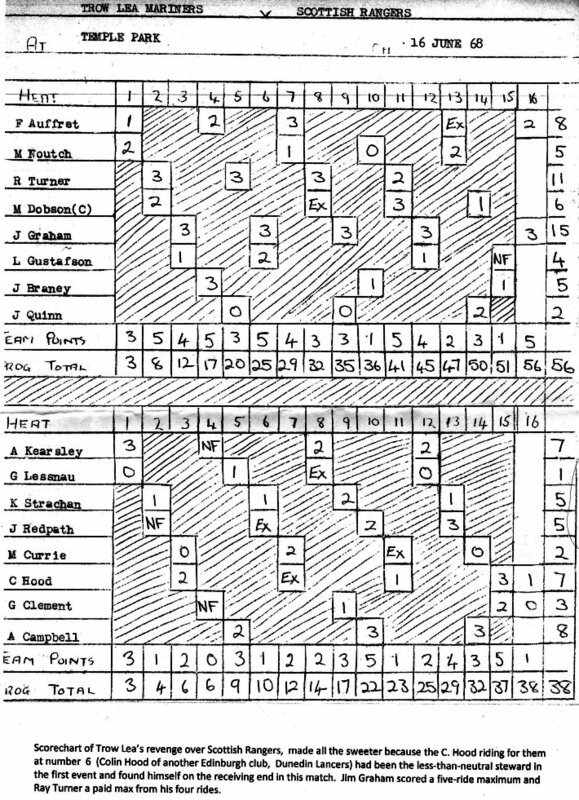 Keith Thompson and Jim Braney top-scored for Shields in an eleven-point victory, which the Newcastle side just failed to wipe out on aggregate in the return, when Mike Dobson was back to his usual form. 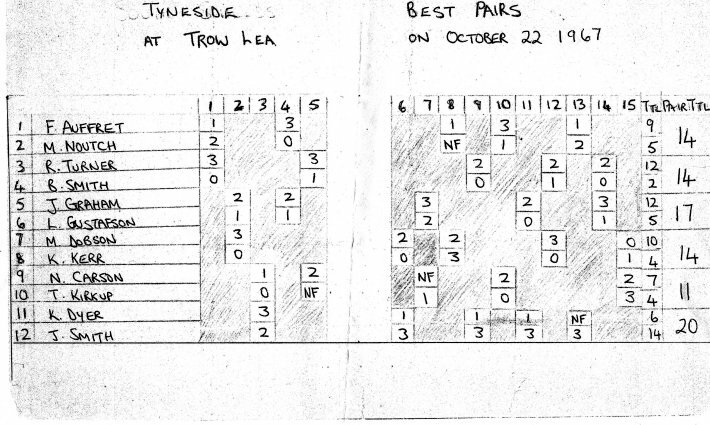 Barely a couple of weeks later, however, The Nest was lost as a track, and home activity – except for the 1966 Tyneside Best Pairs , held on a makeshift track - ceased for eighteen months. During that time the only regular track activity was available in Newcastle, including – in October 1966 – “home” matches against two visiting Edinburgh sides, with a return contest two weeks later in Edinburgh. 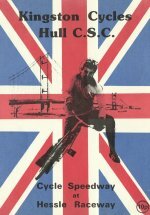 1967’s early-season matches involved trips to Halifax for team visits and for the Fours competition, while off-track there were initial discussions with the South Shields Council about a new track. 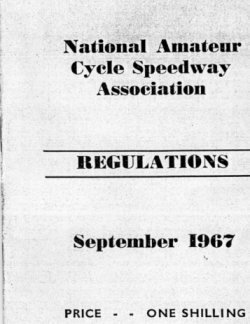 The visits to Edinburgh and Halifax had demonstrated that riders who had not kept in trim and in touch with new track techniques had fallen behind in their racing skills (in 1965, both Jim Braney and Keith Thompson had been ahead of Mike Dobson in the averages, but one year later Mike was regularly beating Halifax riders while the others were racing only for the minor placings. The great day dawned in August 1967 when the first meeting at Temple Park took place. But Newcastle riders completely dominated the event, filling the first six places. 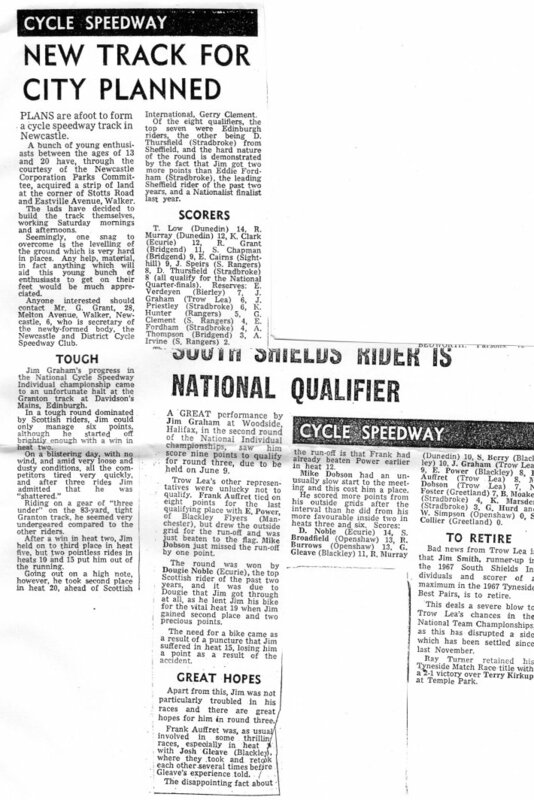 Fortunately, by the time that the First (home) leg of the 1967 Test Series took place the Shields riders had got themselves together, and were able to take a seven-point advantage to the second leg in Newcastle – which the home side won by the narrowest of margins 54-52. Ray Turner had raced to a five-ride maximum in the first leg, and Mike Dobson was heading for the same outcome at Newcastle, until he fell while leading in his last ride – but it was the ’68 Test in Newcastle which was the real nail-biter, where Newcastle – in a seemingly hopeless position with only five heats to go – fought their way back to tie the match at 53-53 in the very last heat. A photographic record of that match captures some of the dramatic moments. A view of Temple Park. The concrete starting area can be seen at the middle left. The trip to Kingstanding in October ’67 involved a makeshift overnight stay in Tamworth on the Saturday night and a practice on the Tamworth Stars track on the Sunday morning – until the vicar came over and asked us if we would mind packing up, as morning service was about to start (the track was behind the church). When we spoke to John Heaton (the Stars captain) later in the day at Kingstanding, he didn’t seem to mind that we had used his track uninvited. He was there for the Midland Riders Championship, the event which preceded our match there, which was a complete shambles – twenty heats which seemed more like forty by the time it was over, and it was starting to get dark as we finally took to the track, necessitating our match being truncated to three-lap heats, just to ensure completion before it became too dark to see (as it was a large track, maybe that wasn’t so bad). Scottish Rangers came visiting in ’68 in the NACSA Team Championship, having defeated Bridgend Bats (’67 Edinburgh League Champions) in the previous round, and won comprehensively (although in retrospect it was probably a mistake to agree to have as steward for the match someone from another Edinburgh side who had accompanied them, as he was over-enthusiastic in his exclusions of home riders for offences which wouldn’t normally even have raised an eyebrow in Edinburgh itself – and quite unnecessary, as the Rangers would have beaten us anyway). On the individual front in ’68, Jim Graham progressed through from the Round in Halifax but came up against the Scottish mafia in the next round at Davidsons Mains, and made no further advance (of the five English riders in the meeting, only one qualified for the next round). The 1965 South Shields Best Pairs had been won by Rob Cheyne and Ian Maughan of the Grosvenor Jailers (the latter was the only member of their team capable of taking points from the Trow Lea heat-leaders), and the competition was expanded into the Tyneside Best Pairs in ’66 and ’67. The ’66 event was held on a one-off track at Trow Lea in October, just after the joint-trip to Edinburgh, run and completed in record time, in case some jobsworth spotted us and moved us on again. Ray Turner rode to an unbeaten fifteen points, to win the title with his race-partner Keith Thompson. 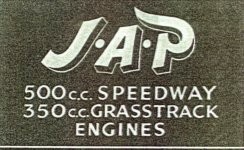 The ’67 event was one of the first meetings on the new Temple Park track, and this time it was Jim Smith who went through the card undefeated, to stand on top of the podium with his pairing Keith Dyer. Jim Graham and Les Gustafson repeated their runners-up placing from the previous year. The ’67 meeting was captured for posterity by a photographer from the Shields Gazette, which carried a full-page spread in its Sports edition one week later. The photo at the start of heat one highlighted that a proper starting gate was not yet in use, and races were started with a traditional piece of elastic tape stretched across the track. The above-mentioned Grosvenor Jailers rode their last match as part of the Four-Team tournament in the summer of ’66, which was also the final match at The Nest before ejection. The Jailers finished joint-third with Cleadon Hornets, in the meeting won by Trow Lea. The individual stars of that meeting were Trow Lea’s Doug Atkinson and Cleadon’s Ray Wilburn. Ten of the seventeen riders who participated in that event never took to the track again, although other meetings were due to take place over the following weeks and had to be cancelled due to lack of a track). Left - Frank Auffret looking pensive. Right - Action from the tapes, L-R Heat 1. Ray Turner, Frank Auffret, Barry Smith, Mick Noutch. In the pits, to the right Norman Carson and Keith Dyer discuss things mechanical. Bottom Left - Micky Noutch and Ray Turner dispute the lead. Bottom Right - Les Gustafson wondering if his programme is correct. The Shields Gazette printed the above full page picture report on 28 October 1967. The meeting was the opening of the Temple Park track, which at 90 yards a lap was a comparatively big one. The meeting was a best pairs event, and teamed up riders from Shields and Newcastle. Jim Smith and Keith Dyer ran out winners. Match programme from Trow Lea’s visit to Sheffield in October ’68. 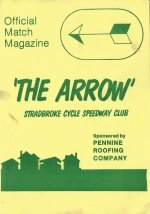 After beating Parkwood, we then moved on to Stradbroke Arrows’ track, where we lost to them and to Manchester’s Didsbury Vikings – our one and only match against a club from that city. The Parkwood number One and maximum scorer was Rod Haines, who later rode Speedway and may have raced against Frank Auffret in that discipline as well. 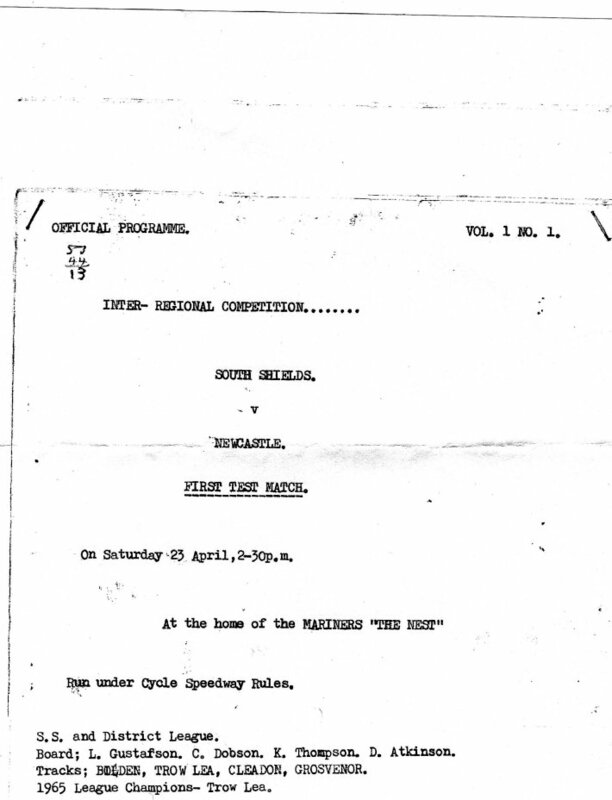 “Programme of the 1967 Shields Riders Championship. Heat 19 provided a number of possible outcomes to the meeting – undefeated Mike Dobson was looking to complete a five-ride maximum to take the title outright and emulate his performance in the 1965 staging of the event. Ray Turner needed to finish ahead of Mike in order to ensure a run-off between them for first place, and even then, Jim Smith on 11 points was off gate one in the next and final heat, and also looking to reach the 14-point mark, so there was a prospect of a three-man run-off. In the event, Mike could only manage third place in heat 19 (and the same position in the meeting too), while Ray won the heat and the subsequent run-off against Jim, who had duly won heat 20. One of the highlights of the meeting came in heat 14, when Barry Smith went from last to first place on the first and second bend of lap two, going round the outside of all three opponents. Two match programmes of 1965 league action – the first a comprehensive victory by Trow Lea over Grosvenor Jailers, and the other covering the first meeting at Boldon (the date shown is wrong, as it was in fact 11th July, one week after the inaugural meeting between the sides). Jim Braney was untouchable on the day, but couldn’t stop Trow Lea snatching victory. The nicknames adopted by some of the riders might raise a smile. almost half of his team's points total, losing only once in his six rides, but couldn't stop a comfortable victory for Trow Lea, for whom Les Gustafson scored 11 (paid 12). 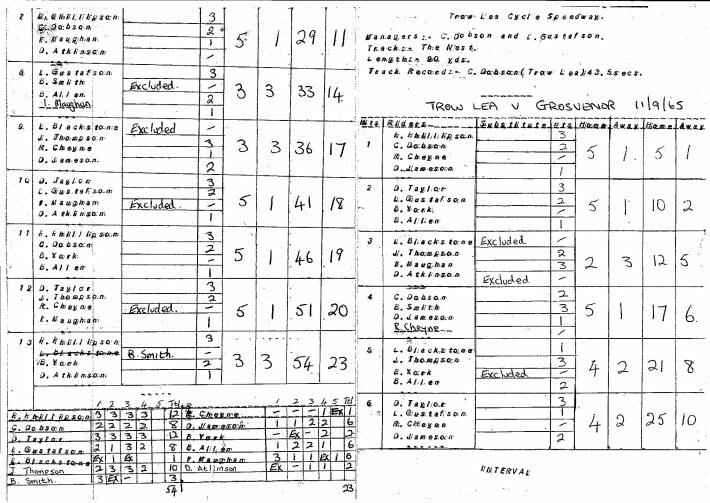 The second match at Boldon resulted in an identical four-point winning margin for Trow Lea (but 53-49, as opposed to the 47-43 score in the first match), although the victory was more comfortable than the score would suggest, with Trow Lea ten points ahead with only two heats remaining. Boldon would have needed two 5-0 scores just to tie the match, but in the event they managed a 5-1 and a 4-2, not sufficient to deny victory to the Mariners. By his own high standards, Jim Braney had a bit of an off-night, scoring 13 paid 14 points from six rides (including an unusual last place), and although Dave Hunter with 12 pts and Tom Dulson on 10 pts backed him up well, Trow Lea’s all-round strength saw them home to their fourth consecutive win over the Crusaders. 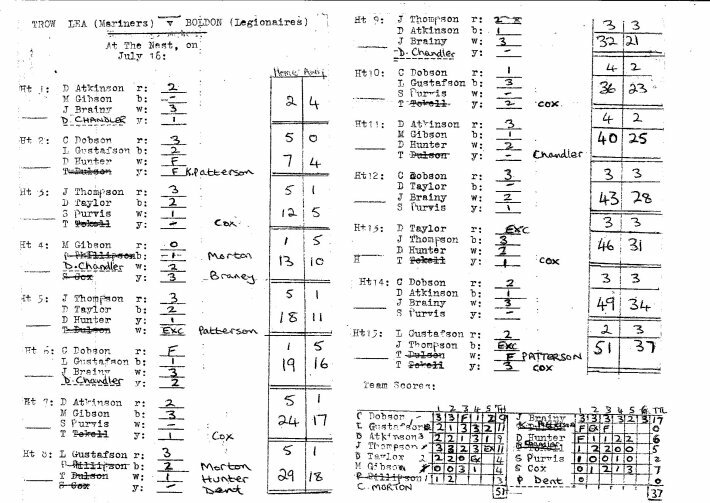 Keith Thompson’s 14 pts and Mike Dobson’s 10 pts spearheaded the Mariners’ effort, with good support from Clive Morton on 8 pts. Sadly, Jim Braney passed away before reaching the age of sixty. RIP Jim. The Insurance Policy taken out by the South Shields Association when the Temple Park track was constructed. 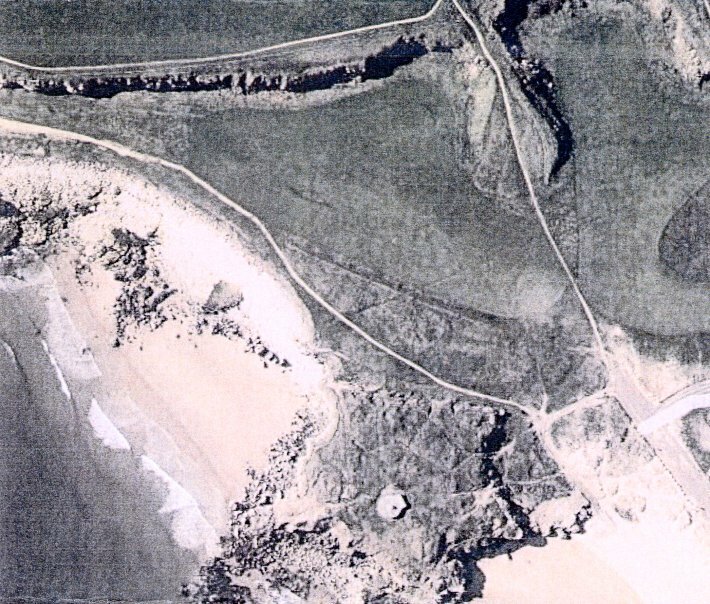 Aerial photograph of the track site in the Nest at Trow Lea (the U-shaped hollow in the top-right hand corner) showing its proximity to the sea shore (but nevertheless well sheltered from sea breezes).